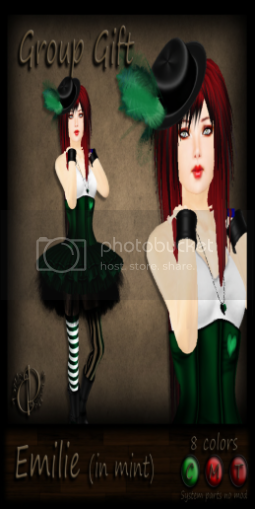 *Dilly Dolls*: New Release Time! 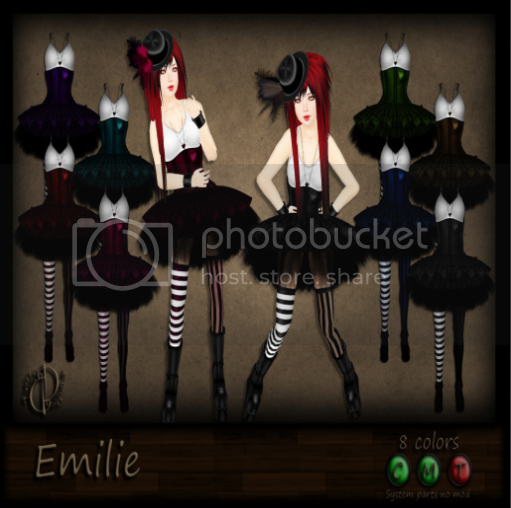 Yep thats right, Oriana has been busy beavering away on some new releases for Dilly Dolls, and here is 'Emilie'. Its a beautiful prim corset and tutu ensemble in eight awesome colours! It comes with all accessories shown; the necklace and wristlets and also the cute lil hat.